The Naspers growth story continues apace. The technology and media group said on Thursday that it expects core earnings per share to leap by up to 35% in the six months to 30 September 2010. 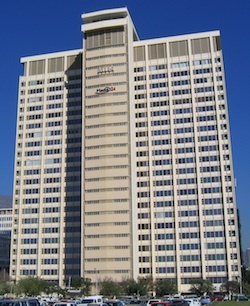 The news sent the group’s share price soaring on the JSE on Thursday afternoon. By mid-afternoon, it was trading up almost 5% at R366,50. In the past year, the share has gained 23,7%. Naspers, which owns a raft of international instant messaging and Internet businesses, expects core earnings to be between 25% and 35% higher than the 648c/share reported in the interim period a year ago. The group, which also owns Internet service provider MWeb and pay-TV operator MultiChoice, regards core headline earnings as an appropriate indicator of the sustainable operating performance of the group as it adjusts for nonrecurring and nonoperational items.